General clergy books are to a pastor what wrenches and pliers are to a car mechanic: essential tools of the trade. And there's something else pastor books are good for: decoration! Books look great on a pastor's shelves. While the Christian books listed below will look good on any shelf, I didn't chose them based on their appearance. I tried to find the best books for pastors and for people who want to better partner with and minister to their shepherds. Many of these general clergy books make great gifts. 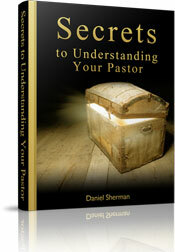 Others are listed here to help you better understand and encourage your pastor. In addition to these general clergy books, I also created a page with Christian discipleship books. 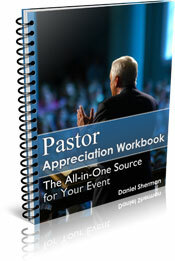 These bulletin covers can help encourage your congregation to show their pastor appreciation. The offering envelopes can be used for a special offering taken for your pastor and his or her family. The general clergy books listed in this section help people better understand and minister to their pastors. The general clergy books listed in this section help congregations better understand the life of the pastor's family. The books for pastors listed in this section help pastors and congregations understand and triumph over the unique challenges of pastoral life. In my opinion, Margin is the best resource for combating the overloaded life. It gets my highest recommendation. Are you worn out? This book offers healthy living in four areas we all struggle with: emotional energy, physical energy, time, and finances, and will prepare you to live a balanced life. The general clergy books listed in this section help pastor search committees be more effective in their task. The pastor books listed in this section help pastors and congregations make better decisions about and during a pastoral transition. The clergy books listed in this section provide counsel regarding the role of a pastor. The pastor books listed in this section earned my highest recommendation because they help pastors better understand the nature of the church and of pastoral ministry. 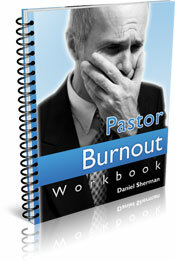 In my opinion, pastor burnout is caused when ministry and the church no longer make "sense" in the pastor's world. These books help change that. I hope that these general clergy books help you better understand, partner with, and minister to your pastor. And don't forget, many of these Christian books would be great pastor gifts. Didn't find what you were looking for? Perhaps instead of general clergy books you might want Christian discipleship books.